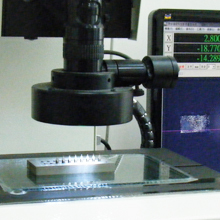 Vimic is one of the leading companies with micro molding technology in the precision industry. The company designs and manufactures small precision and consumable parts which are used in the electronic industry. In order to achieve the main R&D targets, we are made up of a strong team with international experts. Our fast pace enhances competitive ability for our customers. Quality control and total problem solving fulfills any customer’s requirements.